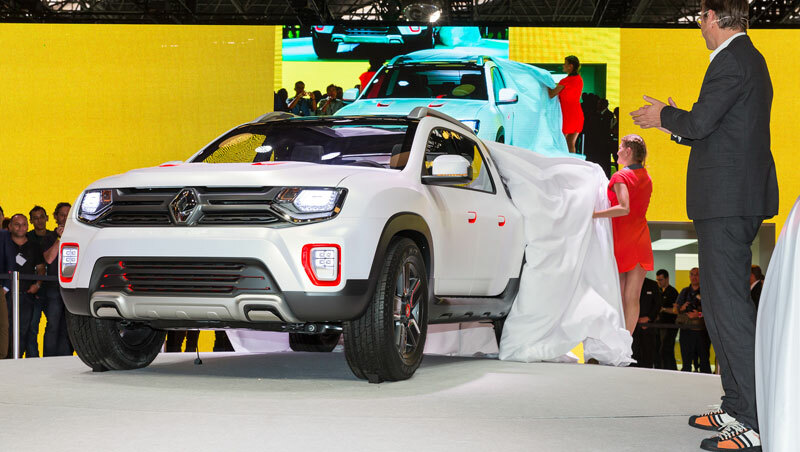 With this show car, Renault ventures into pick-up territory, an apt move when we consider that this vehicle format claims close to 75% of the light-commercial-vehicle market in this region. 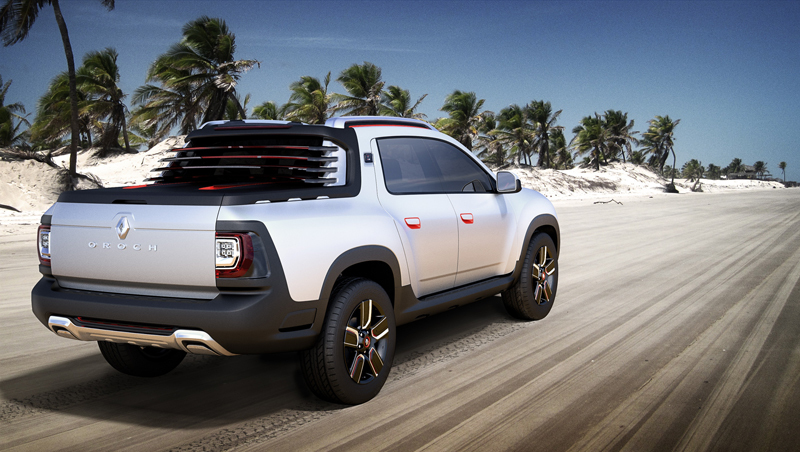 Duster Oroch was dreamed up by the Renault design centre specifically for Latin America, as a robust, leisure-oriented, five-seater pick-up with SUV leanings. 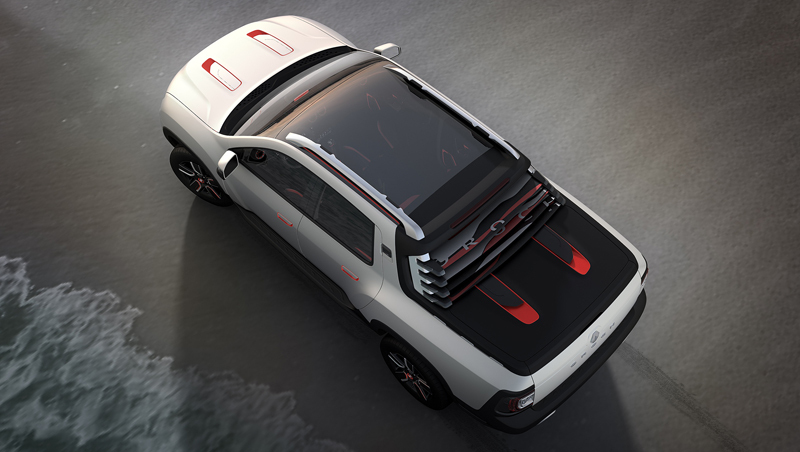 Duster Oroch comes in an exclusive combination of satin white with orange highlights, true to its sporting vocation in general and to kite-surfing in particular, the discipline from which it draws deliberate design inspiration. 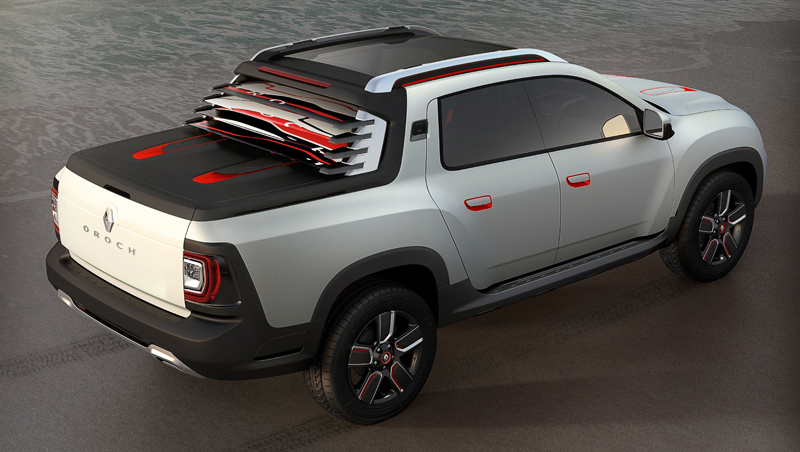 Indeed, all the colours and materials on Renault Duster Oroch have strong water-sports connotations. 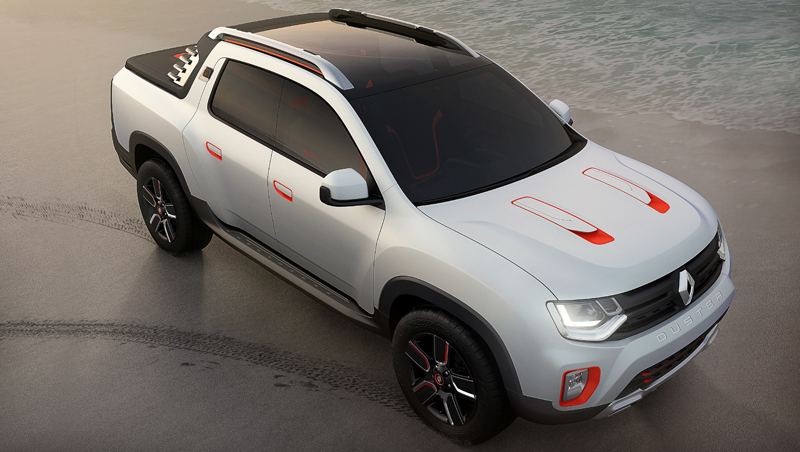 The car's front end takes on Renault's new brand identity and carries in some of the style features explored by the D-Cross concept, the Renault Duster reinterpretation shown at the 2012 São Paulo Motor Show. 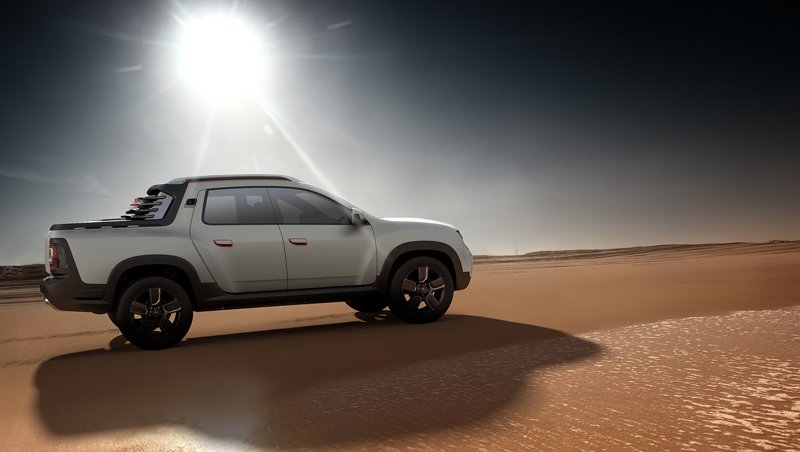 Renault Duster Oroch revealed by SVP Renault Design, Laurens van den Acker. 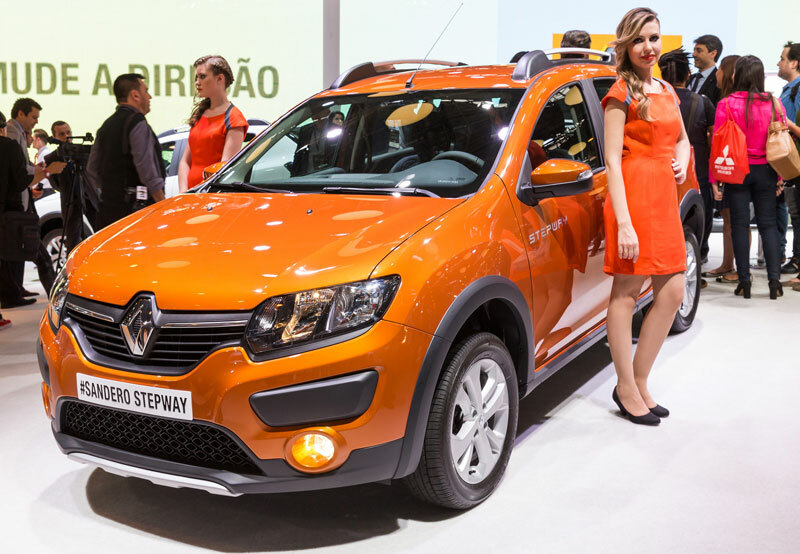 They also made their debut in Brazil: New Sandero Stepway & New Fluence. 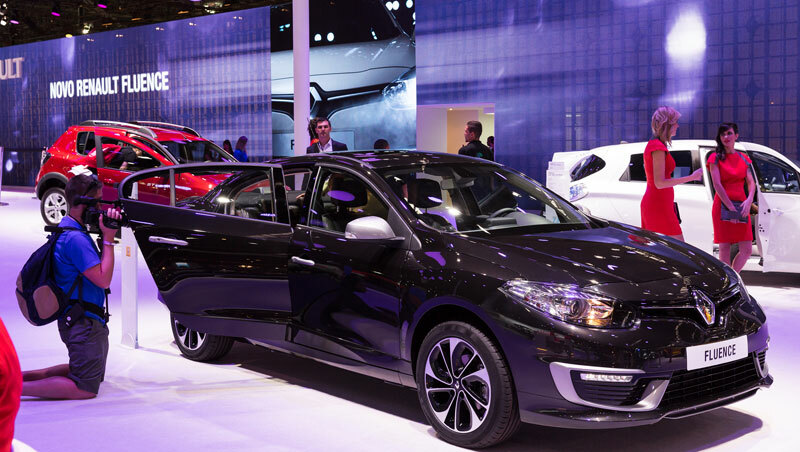 Renault Sport also introduced its showcar Twizy Renault Sport F1 & Mégane R.S. 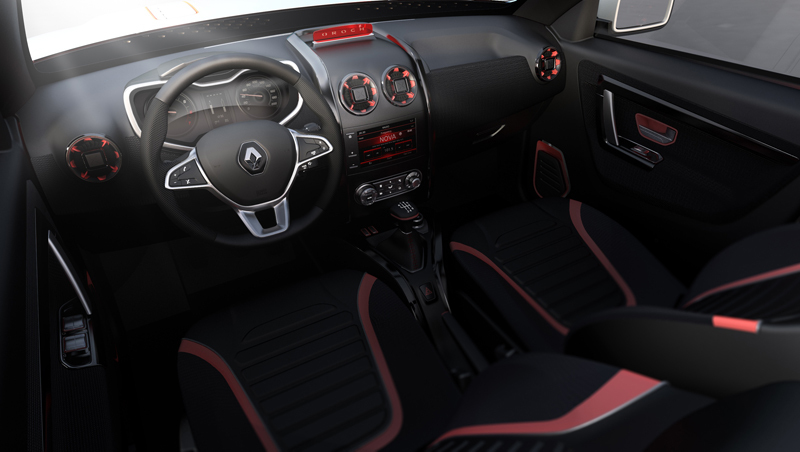 265. 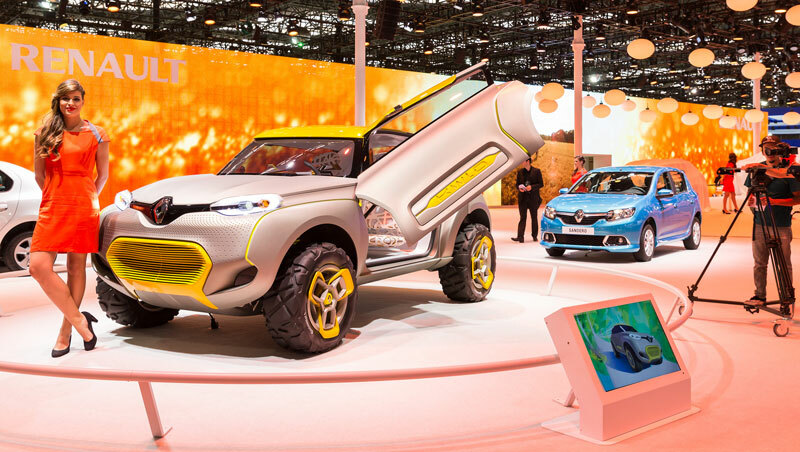 Finally, concept-car Kwid, equipped with a "flying companion" and unveiled at the New Delhi Motor Show in February 2014, was introduced to the Brazilian public.